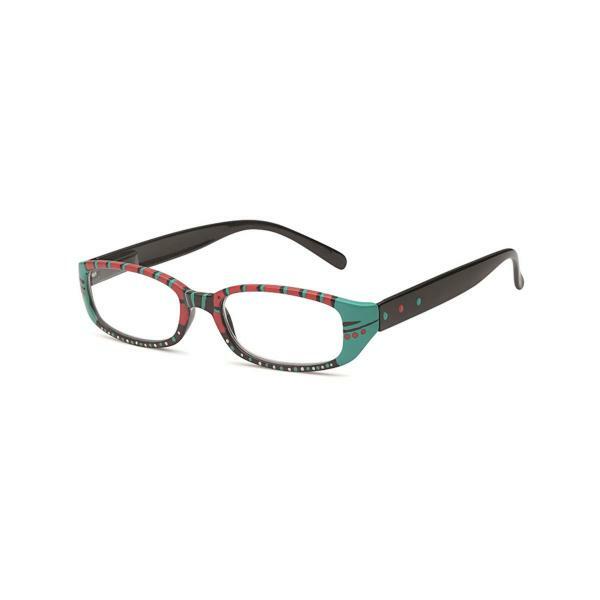 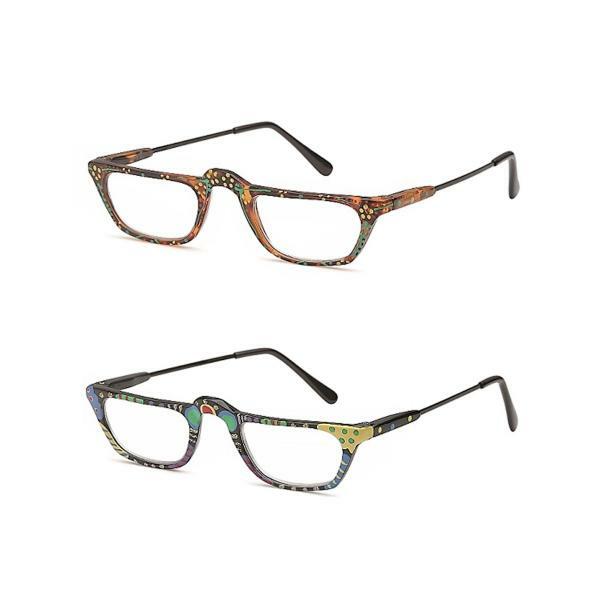 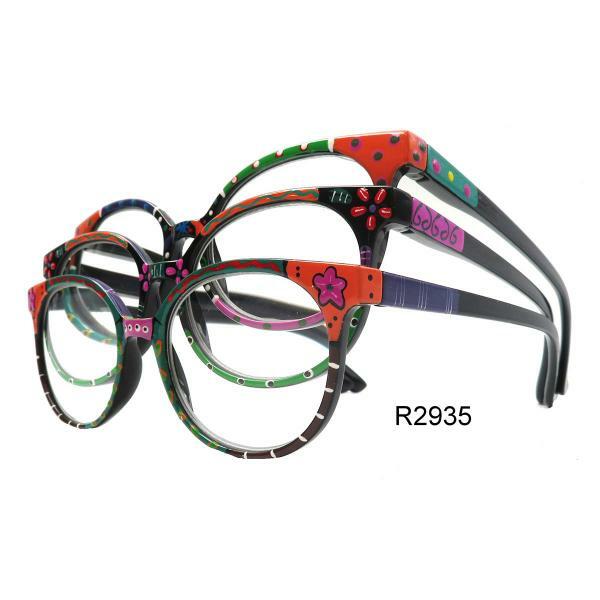 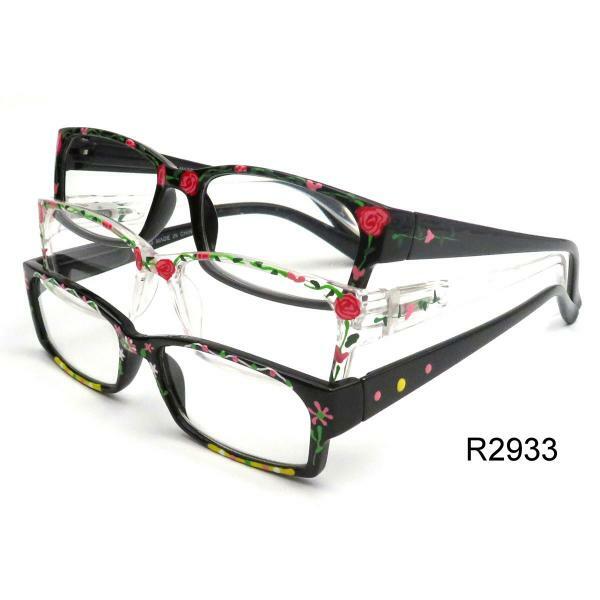 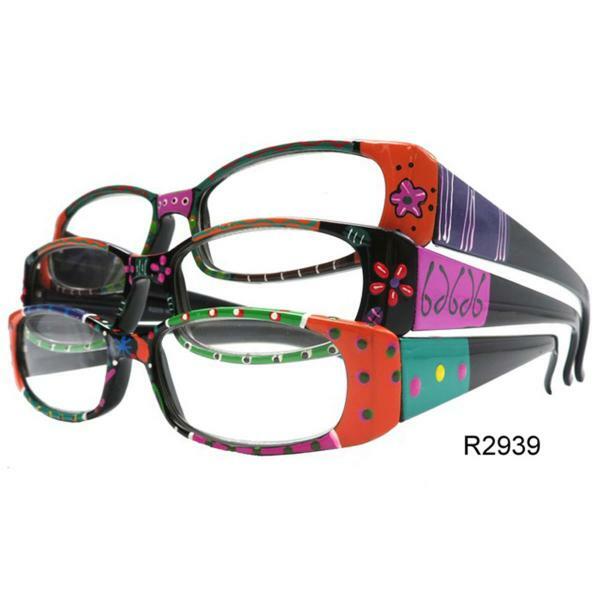 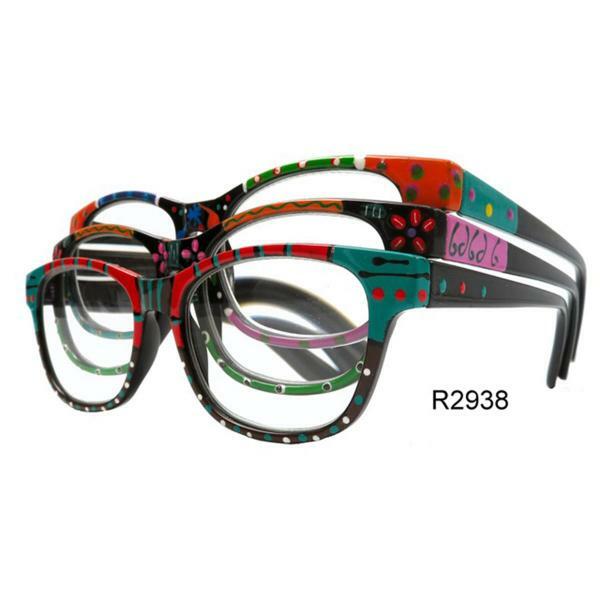 Ladies' hand-painted reading glasses with spring temples. 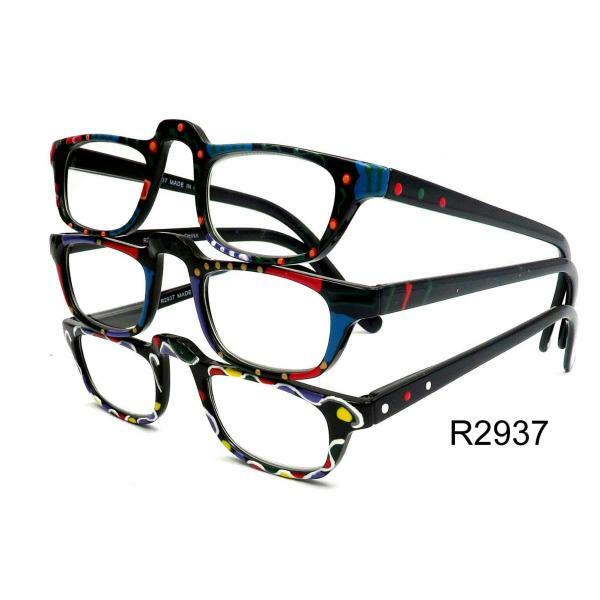 Assorted patterns mixed in a dozen. 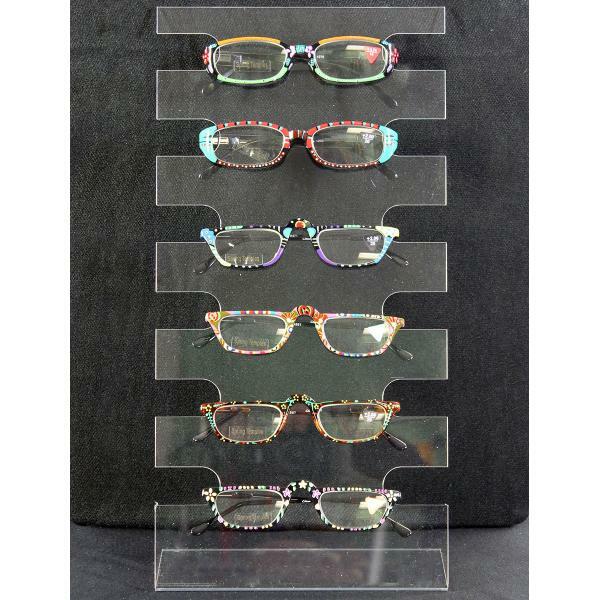 Pre-Assorted diopters from 1.25 to +3.0 in a dozen.